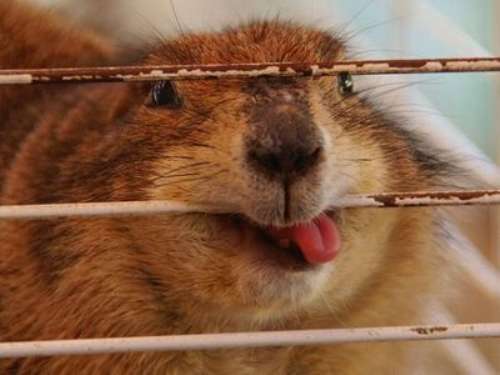 Happy Groundhog Day, my little whistle-pigs. The opera field is fiercely competitive. It has been and will continue to become more competitive. Fact. Your résumé is a first impression in many cases. It is imperative to frame your accomplishments in a way that will read clearly, demonstrate that you’re a great match for the job, and stand out from the other singers. Therefore, your 29 Days to Diva: Day 2 challenge is to fix your résumé! In the opera world, a résumé is only one page long and lists your accomplishments and training to the present date. Think back to your most recent audition. Remember how many other singers were there? Your goal is to make your résumé be the best first impression of your skill, training, and your professionalism. I cannot stress to you how important it is to be absolutely precise about spelling and diacritical marks – this is a reflection on your preparedness (which we discussed yesterday.) Finally, take this to heart, be proud of your accomplishments! Do not exaggerate on your résumé. Exaggeration is a sign of insecurity and intentional dishonesty. If you feel the need to stretch the truth; be mindful of that feeling and get back in the practice room until you can truthfully list it. This is the header of your document. It must include the name you would like them to call you (or print in the program), your voice part, and contact information including: phone, address, and e-mail. Sometimes singers will add their headshot to this section of the paper as a helpful remind auditioners, this is entirely optional. If you are going to do it make sure that it is grey scale and cropped close to the face. This is obviously the section that gives us the most information about the singer. In what types of productions has she been successful? Does she show a range of genres? Does she have much experience as a lead? Opera America counsels, “Every résumé should prominently feature a chronological list of complete roles performed to date, with the most recent date at the top. With each role, you should include opera, composer (particularly in the case of contemporary or lesser-known works), organization where the role was performed and year performed.” You may consider breaking your stage experience and concert experience into two separate headings. If you need help with formatting titles or character names – google how the Met does it, seriously. While on the topic of typos: make sure that all names are spelled correctly. Even if you studied with that teacher for years, fact-check yourself. List your schooling as well as any professional programs you have attended. Be specific about the details: which program, what level or concentration, in which years. List the names of your teachers, coaches, and directors but be cognizant that these people will be considered references. List the people who will be encouraging and that speak generously on your behalf. Use your name as the file name. Send PDFs not Word documents. Vertical alignment is an important formatting element because it directs the eye. To help with vertical alignment, use clear tables when creating your résumé. This will also make it a lot easier to update. Now that you have the foundational aspects of the résumé down, we can take a look at a few examples. What do you think of these examples? Do you like the layout? Does it grab your attention? Do you feel like you have a better understanding of how you would cast them in a show? Take a look at your renovated résumé and ask yourself the same questions. Do you have a scene-stealing résumé that you like to share? Give us the link to your website in the comments below.